I read a brilliant article this month by my very talented friend Dr Darren Saunders on “What can men do to stem the exodus of women from science?”. Many points in his article I found quite sobering, particularly that women comprise more than half of science PhD graduates and early career researchers but just 17% of senior academics in Australian universities and research institutes. I AM one of the women who has left research and it made me wonder…. Why are there so few women in senior research positions? I spent 15 years working in medical research, leaving the research sector at the end of my prestigious early career fellowship to join gemaker in January 2015. In the end, the push between family life and a research career was all too much and something had to give. For me, there were periods of my research career where I felt unsupported and lacked mentorship. For some of my peers, it feels like this all the time. I was fortunate enough to be at a university that ran Women in Science programs and networking groups. The lack of support I experienced didn’t just come from my male colleagues but also from my female colleagues. Some seemed to have the view that they fought hard to ‘make it’ so the next generation should do it the hard way too, instead of thinking “it doesn’t always have to be this way” and changing it. On my first day, at a Group of Eight university, as a recipient of a highly competitive National Health & Medical Research Council (NHMRC) Fellowship, I was shown around the department and introduced to my new colleagues. Rather than being introduced with my research capabilities I was introduced, “this is Julie, she works part- time”—, and this was by the only other female with children in the laboratory. Can you imagine introducing David as the father of three kids under five to your work colleagues? Another instance that stuck with me was when I was pregnant with my third child and a world-renowned female researcher (who was also a mother) asked me if my pregnancy was a ‘mistake’. It seems having more than two children is considered a no-no in research. While a number of research institutes have initiated fantastic policies to support gender equity, including flexible hours, family friendly meeting times, financial support for childcare and technical research support for women on maternity leave, women still feel lost returning to work after maternity leave. Due to the pressures of the funding cycle, some women take as little as six weeks leave, returning in a haze of sleep deprivation to full-time research. The biggest thing that I felt that was missing in my research career was mentorship. I’ve had friends comment that they’d happily swap generous childcare support from their institute for mentorship and guidance from another senior scientist. For many female scientists the toughest part of their career, establishing their research program, coincides with childbearing. Throw in the uncertainty of funding and career progression, and it’s a bad mix. Don’t get me wrong, I absolutely loved working in research and frequently miss aspects of being a researcher. But I found it so disheartening seeing so few females in senior positions. There is an increasing number of terrific initiatives promoting gender equity in STEM, which gives me great hope. 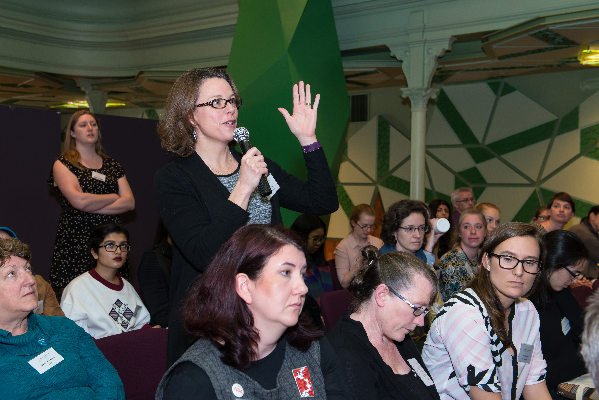 Programs such as the Science in Australia Gender Equity (SAGE) and Women in Science AUSTRALIA, along with the International Day for Women and Girls in Science. The Women in Science AUSTRALIA program is a fantastic resource with blog articles written by scientists, including one on The value of mentoring. I wish I’d come across this piece when feeling lost and disillusioned, and think it would be great if all researchers, both senior and junior, took the time to read it. Women need support from both men AND other women, and I agree with Darren that “sometimes the best thing (for male colleagues) is simply to sit down, stop talking and let our female colleagues be heard”. I’d argue that also asking them how are they tracking regularly would be especially helpful too. Dr Julie Wheway is a communications specialist who combines her love of science research with her interests in science communication and teaching. As a part of the gemaker team, Julie uses her knowledge of science, research and business to develop and implement communications strategies and marker research for a range of clients including universities, researchers and small businesses. 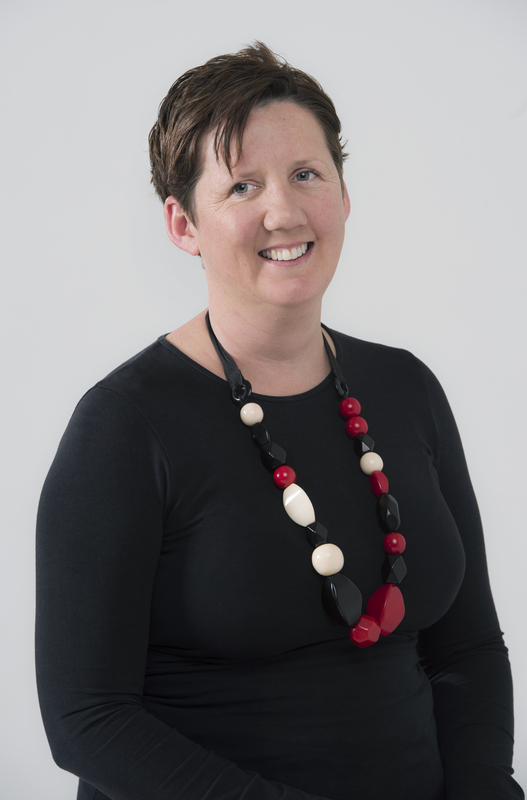 Most recently, at the University of Wollongong she was pivotal in promoting a new STEM syllabus, which aims to contextualise curriculum content using problem based learning activity for secondary students whilst also, deepening the relationship between the secondary and tertiary systems in engineering. Prior to joining the gemaker, Julie worked as a researcher and lecturer in the field of immunology at the University of Sydney. Julie’s 15 year academic career saw her complete a PhD in Immunology at UNSW before going on to become a Young Garvan Postdoctoral Fellow in 2007, and an NHMRC Postdoctoral Fellow in 2009. During her 8 years at the Garvan Institute of Medical research, Julie was awarded the 2004 QANTAS Australia Young Scientist of the year. In between these research appointments, Julie built up communication capabilities in a role at ANSTO as a business development associate. Further to this experience, she was a Student Promotions Leader at the University of Wollongong responsible for promoting the University to school students. An experienced presenter both domestically and internationally, Julie has shown her passion for science by engaging with the community through events, mentoring and education. This article was first published here by gemaker. Interesting post, thank you. I think the need for support through mentors is key. The experiences described here in this post are quite similar to what I (& my women friends in STEM) have experienced in the past in both the IT industry and in IT teaching. I work in a fantastic place now that is very supportive but I still don’t actually have a mentor; being a woman in IT can be quite a lonely place and the best thing I can recommend is to network, network, network. I have a couple of people now that I look up to and that mentor me (whether they realise it or not) sporadically at both work and outside of work. What doesn’t seem to work is when an organisation realises that mentors are important and then assign you one, instead I have found mentors or they have found me. I think women need to take on a mentoring role as soon as they recognise that they could do this. Unfortunately, as noted in your post, some women who have likely struggled on their own to get to where they are may not think to mentor, and may also come across as competitive & dispassionate, since they did not experience it themselves in their career.